Bon Jovi fans listen up! 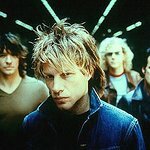 CelebritiesForCharity.org is running a special raffle that gives you the opportunity to win a once-in-a-lifetime experience with the band and help charity at the same time. Winner and a guest will enjoy two floor level seats to Bon Jovi's “The Circle World Tour” at the new Meadowlands Stadium grand opening concert (7:00 pm Wednesday, May 26, 2010). Winner and a guest will enjoy two tickets to “The VIP Experience” and attend a special backstage tour before the concert, including dinner with some of the actual crew. Winner and a guest will enjoy 2 night hotel accommodations at the 5 star Plaza Hotel. Winner and a guest will receive 2 round-trip business class Delta Airline tickets. Winner and a guest will dine at two of New York’s most exclusive restaurants Nobu Fifty Seven and the Red Eye Grill. Winner or guest will receive a haircut and styling from a senior stylist at Bumble and Bumble. Tickets to the raffle – which runs until May 19 – are only $2. Proceeds will go to the Breast Cancer Research Foundation and Celebrities For Charity. Enter the raffle here.